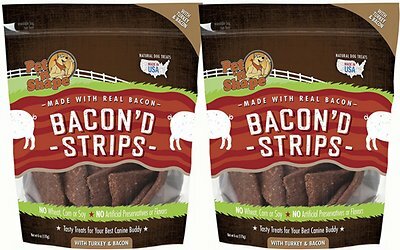 One taste of Pet ‘n Shape Bacon’d Strips with Turkey & Bacon Dog Treats will have your best buddy begging for more. Proudly made in the USA, these tasty morsels feature delectable turkey and real bacon. These all-natural, mouth-watering treats contain no wheat, corn or soy and no artificial additives or preservatives to help maintain a healthy lifestyle. The smoky, fresh-off-the-skillet aroma and rich, tantalizing flavor are virtually irresistible. Great for snacking, soft and chewy Bacon’d Strips also make the ideal reward or training treat when broken into small pieces. 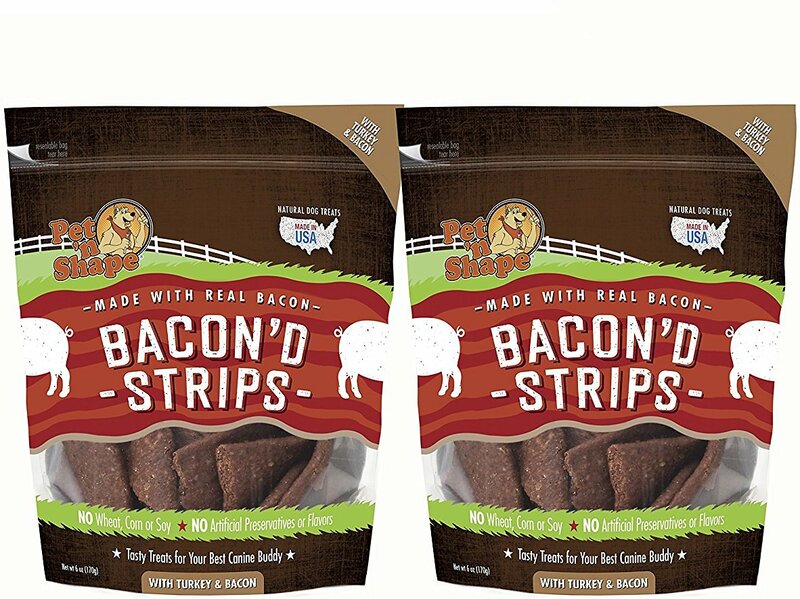 Let your furry family member know how much you love her with a hearty strip or two of these delicious treats. Proudly made in the USA using delectable turkey and real bacon. Contains no wheat, corn or soy and no artificial additives or preservatives. Smoky, fresh-off-the-skillet aroma and rich, tantalizing flavor are virtually irresistible. Makes an ideal reward or training treat when broken into small pieces. Soft texture is great for dogs of all sizes and ages, from puppies to seniors. 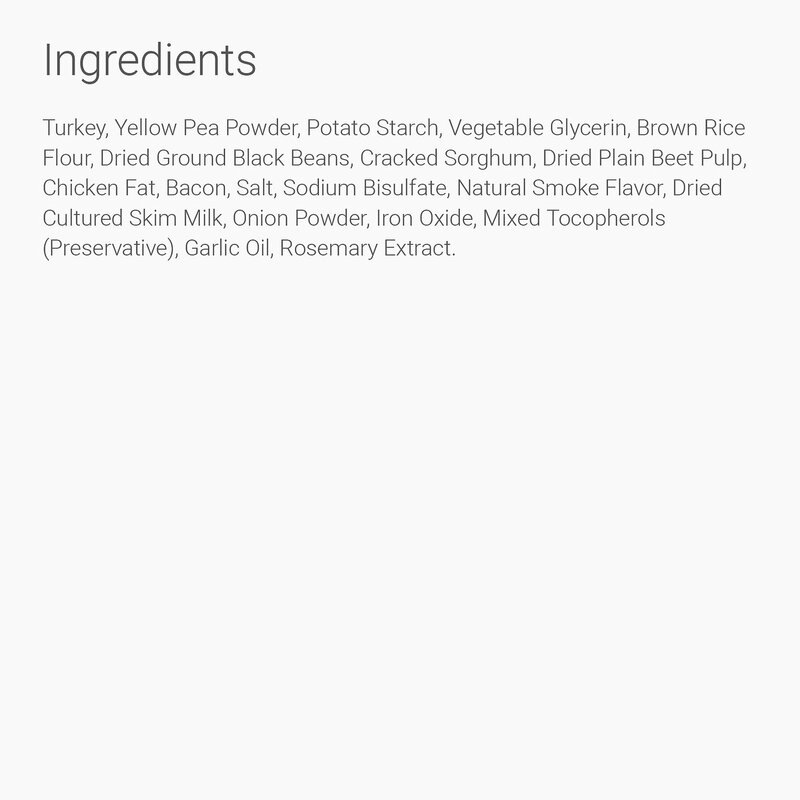 Turkey, Yellow Pea Powder, Potato Starch, Vegetable Glycerin, Brown Rice Flour, Dried Ground Black Beans, Cracked Sorghum, Dried Plain Beet Pulp, Chicken Fat, Bacon, Salt, Sodium Bisulfate, Natural Smoke Flavor, Dried Cultured Skim Milk, Onion Powder, Iron Oxide, Mixed Tocopherols (preservative), Garlic Oil, Rosemary Extract. 3000 kcal/kg (36 kcal per treat). Feed as a snack or treat, as part of a healthy diet. Break into small pieces for small dogs. 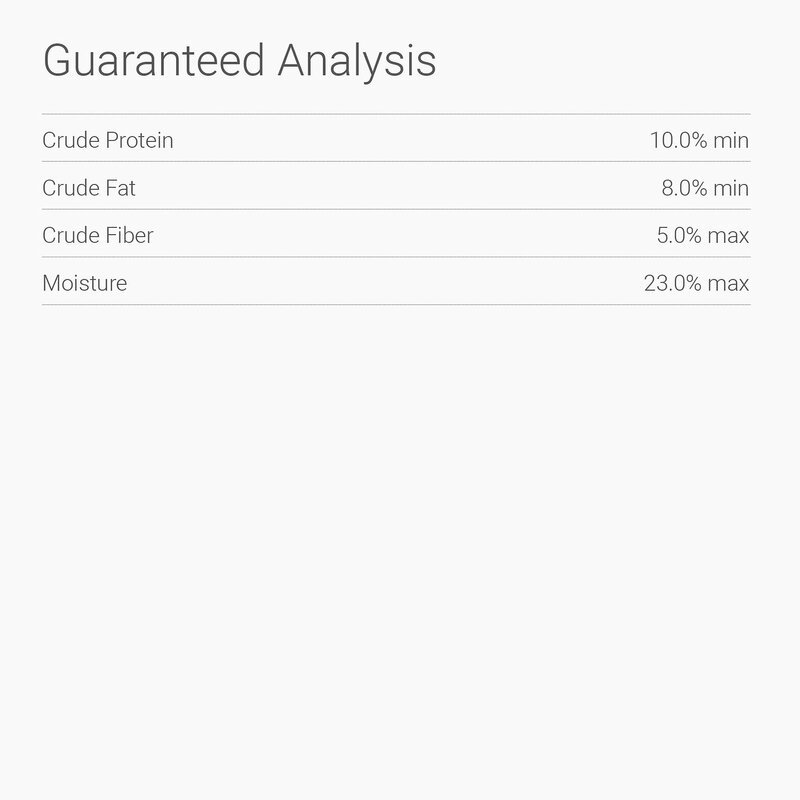 Always monitor your dog while treating and provide plenty of water. 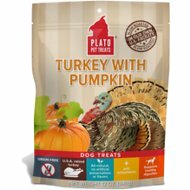 Great product but my dogs just don’t care for them. My dogs didnt like them. Smelled of them and just left them. Gave as a gift to my little fur friend “Chewy”. He loves them.